Backup and rearview cameras are no longer just a clever gadget to pad the price of luxury cars – they’re practically ubiquitous in modern cars, and they’re here to stay. And they’ve proved to be greatly beneficial to both drivers and property owners alike. Do Rearview Cameras Really Help? Some backup cameras come built into cars, while others can be added to your car with very little trouble. However, how do you choose the best backup camera to go with? Well, that depends on what you’re looking for: price, ease of use, reliability, and difficulty of installation. You want to find something that won’t break the bank, will keep your loved ones safe, and allow you to drive and park with absolute confidence. Luckily, we have rearview cameras on this list that can satisfy in every category. There is no magic bullet for car safety – accidents, injuries, and the worse are always going to happen. The best method for reducing accidents is to be aware of your surroundings, to use all of your senses, and to not get distracted. Almost every accident that could be the fault of the driver can be avoided with these three techniques. However, there is no doubt that rearview cameras are becoming more than an expensive toy, diving into the realm of possible necessity. While sedans and station wagons have blind spots in the back of the car, the rise of large trucks and SUVs may be partially to blame for increased back-over accidents. The blind spot behind a large truck or SUV can be enormous and easily missed – that’s why over 60% of back-over accidents are caused by larger-sized vehicles. According to the Insurance Institute for Highway Safety, over 18,000 people are injured every year by being backed into by a car. 300 people are killed the same way every year. And, most tragically, the victims of these accidents tend to be the elderly or very young children. Oftentimes, these accidents occur right in their own driveways. Backup cameras allow the driver to fill that blind zone with vision, to let the driver know exactly what’s right behind their bumper. And when children are the most frequent victims of that kind of accident, a rearview camera becomes even more important. We want to help you find the best camera that can protect you, your property, and your family. Our ratings are a function of price vs. functionality, what will give you the most bang for your buck but still leave you plenty of peace-of-mind. Now you know what to consider in choosing the best rearview camera for your car. To make it easier for you to find what matches your needs, we’ve listed down the top rearview cameras in the market. Yada makes a fantastic rearview camera and is one of the easiest to recommend to any shopper. The camera portion is extremely small and tucks nicely right above the license plate, plus it has a nice wide-angle lens that really illuminates your blind zone. It’s super easy to install and doesn’t require any special tools or know-how. The screen portion is an LCD monitor, 4.3 inches, and mounts to your dashboard with a suction cup. The monitor turns on instantly as soon as you start backing up, so you don’t have to worry about forgetting to turn it on. The display is also crystal clear, especially considering that the connection is wireless. The signal is strong and surprisingly steady. 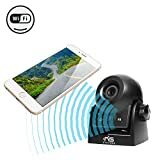 The features on the Yada camera are also robust: the camera has a high water resistance rating, the night vision mode works great and offers a decent resolution, a 50-foot operational range, and its own 2.4G wireless radio. When it comes to ease of installation and reliability, the Yada is an easy recommendation. When it comes to adding a little extra safety to your car without crushing your wallet, the eRapta ERT01 is a fantastic choice. 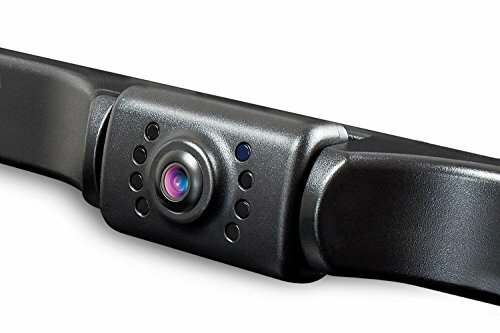 Let’s get this out there right away: this is not the full-featured, bells-and-whistles, overstuffed rearview camera that’s going to X-Ray pedestrians and refill your coffee. This is a budget camera, but to be fair, it’s a great budget camera. If you’re in the market for a rearview camera but don’t want to spend a whole lot of money, it’s a perfect choice. The ERT01 has a 149-degree viewing angle that gives a wide field of vision, to not only assist in things like parallel parking, but also to prevent property damage and tragic accident. The camera’s waterproofing is decent, with an IP rating of 69. This is fine for most environments, but if you live in Seattle or Hawaii you might want to consider or a more expensive rearview camera. The ERT01 comes with LED lights that turn on automatically when backing up – they’re not as good as cameras with night vision, but they’ll illuminate most obstacles and people just fine. 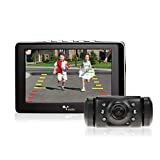 It requires a bit more installation than some of the cameras on this list, but it’s a solid backup camera for the buyer on a budget. When it comes to pure value, the Peak PKC0BU4 brings a strong selection of features, a great build quality, and easy installation and combines it with a reasonable price. For around $, you get a 4.3-inch-LCD monitor, the camera, and all the mounting hardware for both. 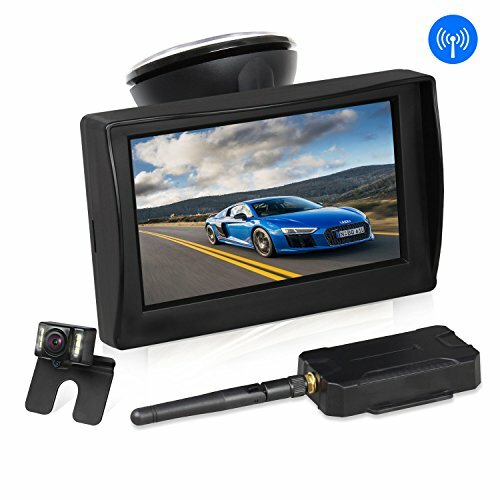 The monitor attaches easily with a suction cup and an adjustable mounting arm, while the camera fits over a standard license plate frame and attaches in minutes. The viewing angle of the camera is 110 degrees, which is great for backing up but could be better for parallel parking and the like. The standby mode works well and flicks on as soon as you begin backing up. It also has a decent range and signal strength, meaning the PKC0BU4 can also be attached to something like the back of an RV or a towing trailer and still get a clear picture to the monitor. The ZEROXCLUB Wireless Backup Camera isn’t cheap – the entire kit retails for around $$. However, if you’re looking for a full-featured, high quality, no-messing-around rearview camera, the ZEROXCLUB is the one to beat. The ZEROXCLUB camera is designed with commercial applications and large vehicles in mind, i.e., semi-trucks, buses, tractor trailers, RVs, and box trucks. For one, the screen is much larger than some of the consumer models on the market – a full 7-inch high-definition display that ensures you won’t miss an obstacle because of a muddy screen. The monitor also comes with all the mounting hardware and has a bank of buttons on the bottom that allows you to alter your viewing angle and access all the settings and features easily. Plus, the monitor draws power with a cigarette-lighter adapter that comes packed into the kit. Plus, the cameras (that’s right, there’s two of them) come with 18 infrared lights to ensure that no low-light situation will compromise safety. And, another rarity – the low-light cameras still put out high-definition images. The two cameras can be placed wherever you need, giving you a full view of any troublesome blind spots. High-speed isn’t a problem, either. If you’re looking to change lanes in a large vehicle but are worried about the blind spots, the signal stays crystal clear even at 75 miles per hour. You’ll know exactly what’s right behind you and to your immediate right and left. 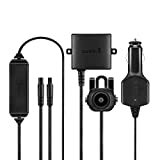 This camera works best for the buyer who already has a Garmin Drive GPS navigator (or the compatible nuvi or dezl GPS navigators). The Garmin BC 30 can be added easily to the license plate or bumper. 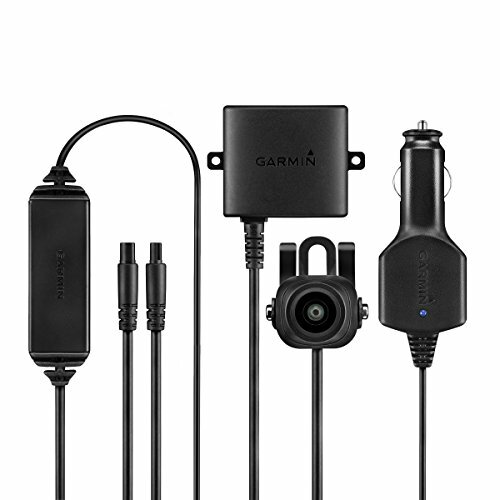 From there, the camera broadcasts its signal to your existing Garmin navigational screen. The benefit of this camera is that it saves Garmin uses from having to mount another screen in their car. We all want our cars to be safe, but we don’t necessarily want to have our dashboard look like a surveillance office. The camera’s signal reaches an impressive 45 feet, making it great for any standard car, truck, or SUV, but still functional for those towing modest loads or driving RVs. 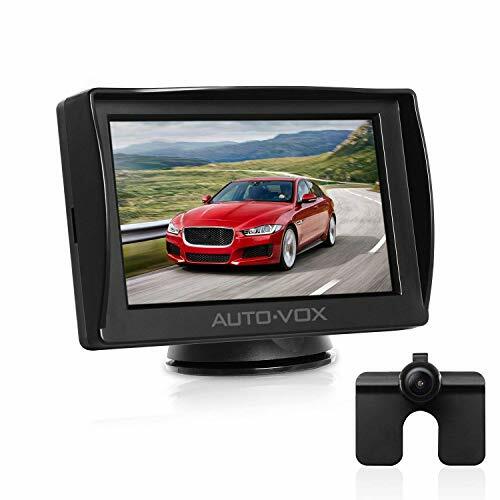 The Auto-Vox M1 is a well-built backup camera and monitor with a great price tag. At just $, you get the camera, the monitor, the mount, and direct tech support whenever it's needed. The camera angle on the Auto-Box is a wide 120 degrees and comes with low-illumination and “super night vision” capabilities. 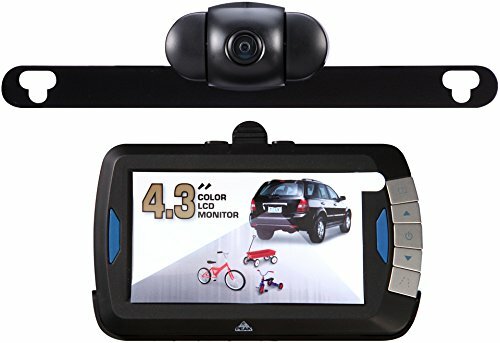 The 4.3-inch LCD monitor attaches easily to the dashboard or windshield and has a flexible silicone mount that can be removed, relocated, and reused at your leisure. We’ve found it to be a hardly little camera – rain and fog don’t seem to be much of a problem for the Auto-Vox. Where the Auto-Vox really shines is the parking assist system, which turns tricky parking spots into a breeze. If you live in a metropolitan area, the kind where parking spots are rare, tiny, and more valuable than gold, being able to safely park your car without racking up the destruction of property is a godsend. It’s not too difficult to connect and power the rearview camera, too: you simply open the rear taillight and run the wire. However, this can be a tough job for the layman and may require a visit to your local trusted auto shop if you don’t feel comfortable doing it yourself. Now, this is a fun addition to the list. This one doesn’t include a camera – it’s more of a monitor accessory for either a car that already has a rearview camera, OR, for a rearview camera that’s bought and installed separately. The Auto-Vox Dual Video Rear View Mirror is half mirror and half monitor – this is some James Bond, superspy-looking technology. It replaces your current rear-view mirror, and when you’re not backing up it looks indistinguishable from any other normal rear-view mirror. However, when you throw the car into reverse and began backing up, the left side of the mirror becomes a video screen that shows a feed from your backup camera. It’s an amazing little gadget, and not only does it look cool, but it also frees your dashboard up from screens. It’s not compatible with every car, but it does work with a wide variety of models. Check for compatibility before you buy. 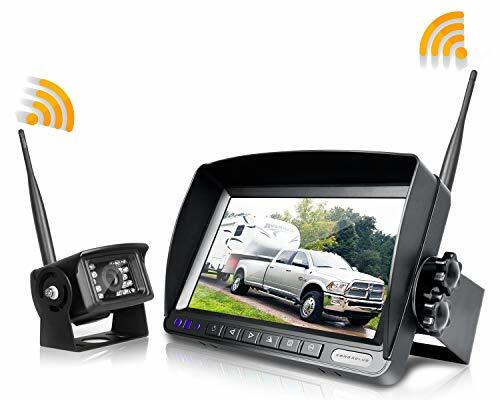 This $$ system was made to add rearview cameras and a little extra safety to big vehicles. Whether you’re driving farm equipment (tractor, thresher), a horse trailer, an RV, a semi-truck, a snow plow, or any other large vehicle, the Magnetic Hitch is one of the quicker and easier options. Because it’s both battery-powered and wireless, you won’t have to bust open any taillights or run any new cable. Instead, you simply attach the camera to the existing trailer hitch. The camera also has a simple bracket with holes for j-bolts, U-bolts, or whatever hardware you’d need to attach the camera to less-than-conventional spots. The camera is also protected by a heavy-duty metal cowl that’s ideal for more rough-and-tumble vehicles and drivers. Instead of coming with a monitor, the Swift Hitch broadcasts wirelessly right to your Android or Apple phone. Purchase of the camera comes with an app that can be installed on most smartphones, and it turns your existing phone into the monitor. No extra purchases needed, no need for another screen on your dashboard. Once the realm of high-end luxury cars, anyone can now install their own rearview camera for $30-40 on the low-end. They’re easy to mount, especially the wireless models, and have solid weatherproofing. Even the lower-end models tend to have decent signal strength, meaning budget doesn’t have to be a factor when you’re trying to improve the safety of your car. Never worry about backing into property or people ever again with one of these vetted and recommended rearview cameras.